King hit the road with “Lucille” (the nickname given his guitar; allegedly a woman with that name was the reason for a fight between two men causing a fire destroying a juke joint in Twist, Arkansas at which the budding super star performed, probably in the early 1950s) at a tremendous pace for more than a half a century. He played at 200 concerts per year for most of that time, only slowing down when an advanced case of type 2 diabetes and old age forced him to sit in a chair onstage. The peak of King’s live prowess probably occurred in 1957 when he reportedly appeared at 342 shows. King did his first show to a largely integrated audience in June 1968 at the world famous Filmore Auditorium in San Francisco. He followed that up by serving as the opening act for the Rolling Stones on their 1969 U.S. tour, appearing for the first time on the “Ed Sullivan Show” in 1971, and playing repeatedly on American television shows such as “The Tonight Show” and “Merv Griffin.” In short, within just a few years B. B. King made himself known to everyone; he became a recognizable force in mainstream pop culture. Here is a quick listing of the primary awards and honors King received during the course of a long and rewarding career. 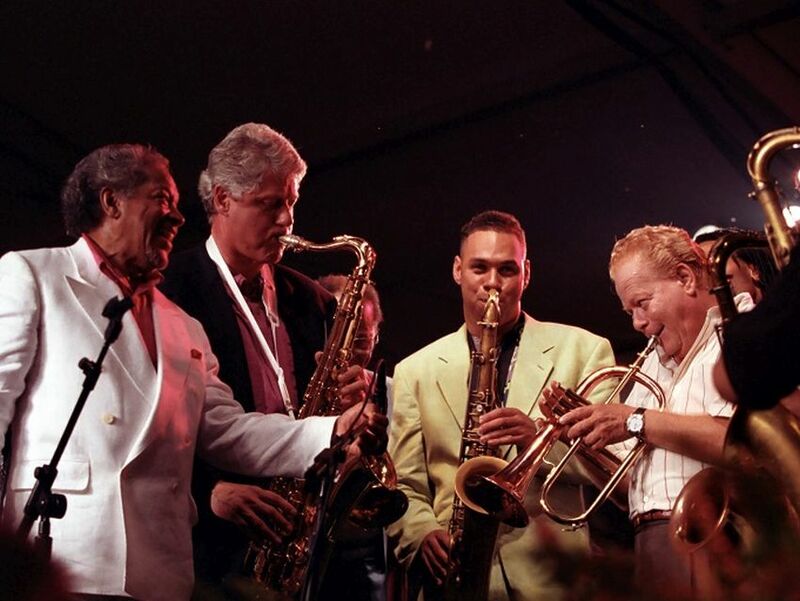 He received kudos from three Presidents: George H. W. Bush presented him with the Presidential Medal of the Arts in 1990, Bill Clinton bestowed upon him Kennedy Center Honors in 1995, and George W. Bush handed out the nation’s highest civilian award, the Medal of Freedom, in 2006. King gained entrance into three music hall of fames: he was inducted into the Blues Hall of Fame in 1980, the Rock and Roll Hall of Fame in 1987, and the Official Rhythm & Blues Music Hall of Fame in 2014. King was the recipient of numerous Grammys. His first came in 1971 for Best R&B Vocal Performance for “The Thrill is Gone.” The song reached #3 on the R&B charts and #15 on the Pop charts, and constituted one of the few times he garnered widespread popular success. Ultimately, “The Thrill is Gone” became King’s signature tune. A Lifetime Achievement Grammy was given to King in 1987. 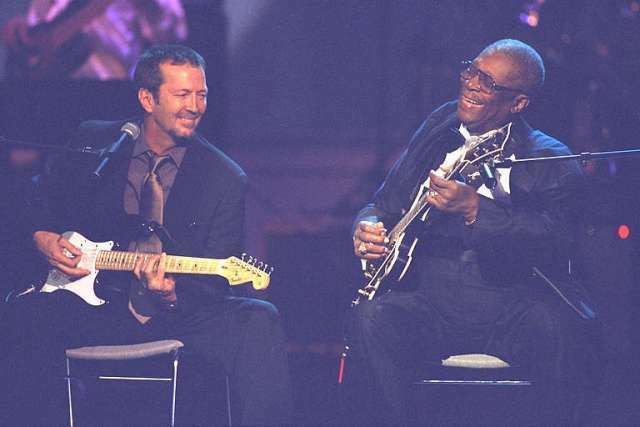 Perhaps the final instance of across the board critical acclaim and massive popularity for the bluesman, the LP “Riding With the King” (which featured Clapton) went double-platinum (2,000,000 in certified sales). It stood out as the only blockbuster hit of King’s entire illustrious career. The effort also won for him and his collaborator a Grammy in 2001 for Best Traditional Blues Album. 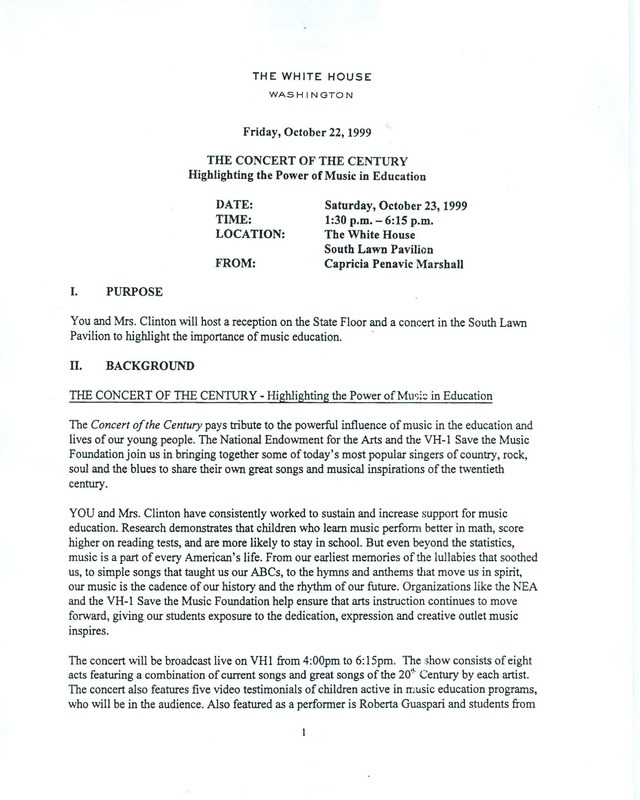 The document and photos are courtesy of the Archival Department of the Clinton Presidential Library and Museum. The three photos shown focus on B. B. King. 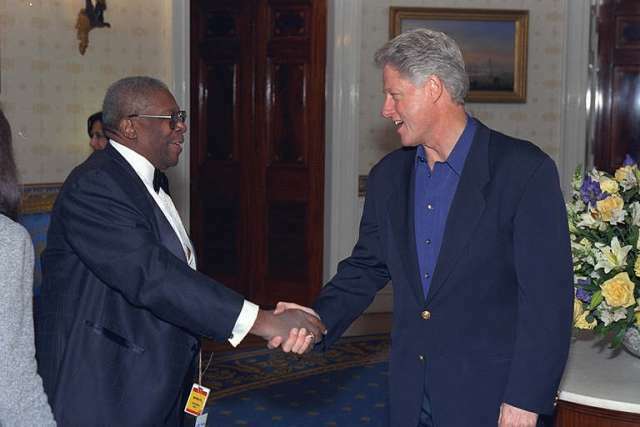 In the first shot he is shaking hands with President Clinton. 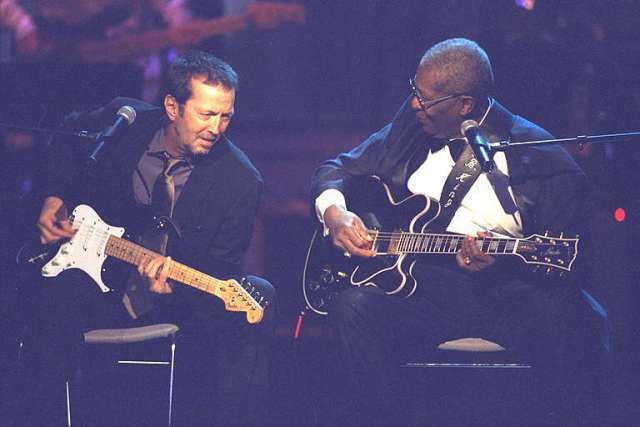 The other two pictures are of the native Mississippian performing with Clapton. All three photos are from the “VH-1 Concert of the Century,” which occurred on October 23, 1999.